TimeTracker is developed for companies running the app from a BES 10, so the main focus is to make it easy to get an overview who is doing what where. TimeTracker is a standard app where you can customize many properties to fit the need of your company. See more on this taking a look at the Settings. While developing the app I recognized that this app would also be great for Freelancers like me working alone to get an overview what was done for a project or a customer. Also I was looking HowTo bring the app to market and so I decided to have a FREE Personal Edition available from BlackBerry World. So everyone can use it as a personal TimeTracker or simply try it out before installing the Enterprise APP on BES 10. I’m also a fan of Mobile-Only / Mobile-Computing solutions and was thinking about a TimeTracker Version for small groups / small companies without an own TimeTracker Server, with or without a BES: you can run the Group Edition from private or work perimeter. 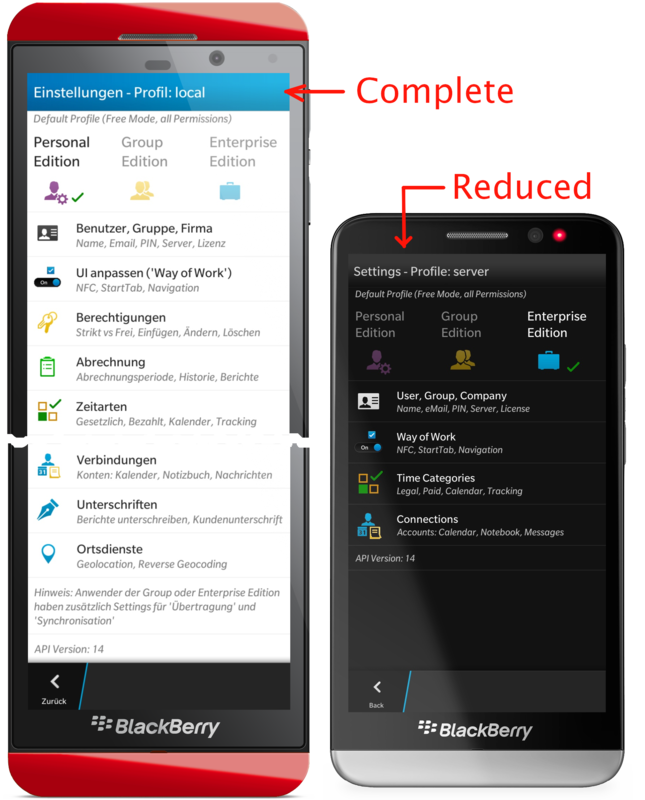 To be able to use the Group Edition you need a second App available from BlackBerry World: TimeTracker Manager. From this app you can manage your group members without an own backend server. Using the Personal FREE Edition you can configure TimeTracker to your personal requirements – there’s full access to all properties. Only settings for Data Transfer and Syncing to Server aren’t visible because they only make sense for Group or Enterprise Edition. Read all about Settings here.